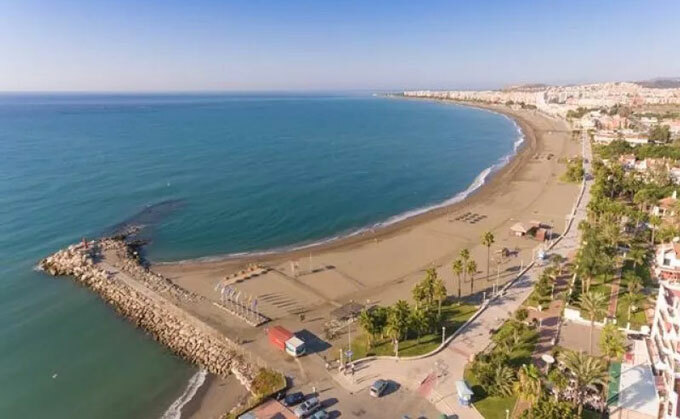 The centre of Velez-Malaga, even though it’s not right on the coast, it is sufficiently close to be able to enjoy a wonderful day on the beach. To get to Chilches we must head towards Almeria on the N-340 and take the turnoff towards the town of Chilches. 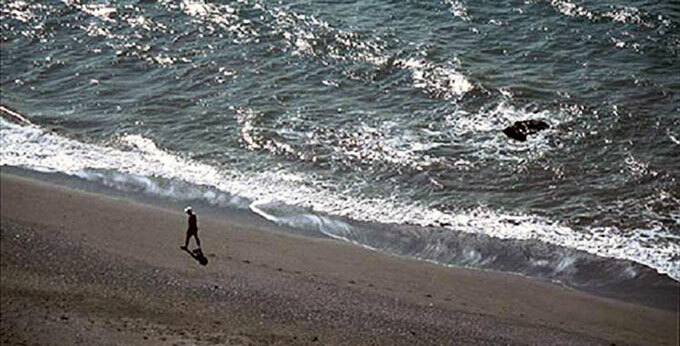 The beach in Chilches is 2 kilometres long and surrounded by a residential area. It has dark sand and offers sunbeds to hire, red cross during the summer months and beach bars. If you go by car, you’ll find Bajamar along the road that goes from Nerja to Malaga, with crop fields that practically reach the sand. The Bajamar beach is a very peaceful and recommendable beach although it doesn’t have many services. It’s a long natural beach with dark sand; it’s also nudist and surrounded by crops. From the Mediterranean motorway towards Velez-Malaga, take the Torre del Mar turnoff, you’ll find a large parking lot right by the seafront promenade. This beach is one of the longest in the province of Malaga, and thanks to its 3 kilometres it’s ideal for long walks along the seashore. It has dark sand and is cleaned on a daily basis during the high season and extends from the Velez river until the Velez cove. 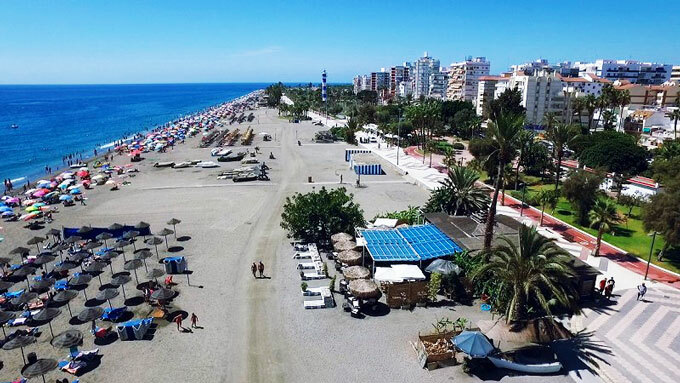 Many locals and tourists do their exercise along this long promenade of the Torre del Mar beach, that also has several beach bars to sit down and cool off. To get to this beach you must take the 227 turnoff from the Mediterranean motorway down to the N-340 coast road, and continuing towards the Velez cove or the fishing port, you’ll reach the Lighthouse beach, situated in the Velez-Malaga Caleta. The Lighthouse beach has all the necessary services for a great day on the beach, from a children’s playground to beach bars and a long seafront promenade. It also offers the opportunity to practice several water sports, and a well-maintained volleyball net on the sand. It’s the ideal beach for the whole family, seven days a week.